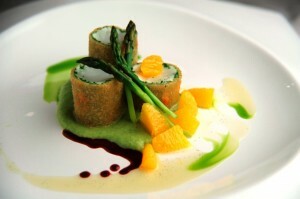 Design Cuisine is a nationally recognized, full-service catering company located in Arlington, Virginia. Founded in 1976, Design Cuisine is known for providing innovative menus, the highest-quality food, meticulous service, beautiful rental equipment, and creative event design with close attention to detail. Our mission is to create events that exceed expectations and to create a memorable experience for our clients and their guests. We maintain high standards of excellence in food preparation and service. We respect and value our employees as our greatest asset. Design Cuisine caters events for many charity and corporate clients who regularly rely on Design Cuisine’s services. We have catered to the four presidential administrations and frequently cater at the U.S. Department of State and United States Supreme Court. Publications that have spotlighted Design Cuisine include Tiffany Parties, Gourmet magazine, Vanity Fair, Vogue, Food and Wine, Harper’s Bazaar, W magazine, Food Arts, Newsweek, Time, People, Bon Appetit, the New York Times, the Washington Post and Special Events magazine.